ACTIVISM. Finnish activists commemorate the victims of the Dresden bombings. 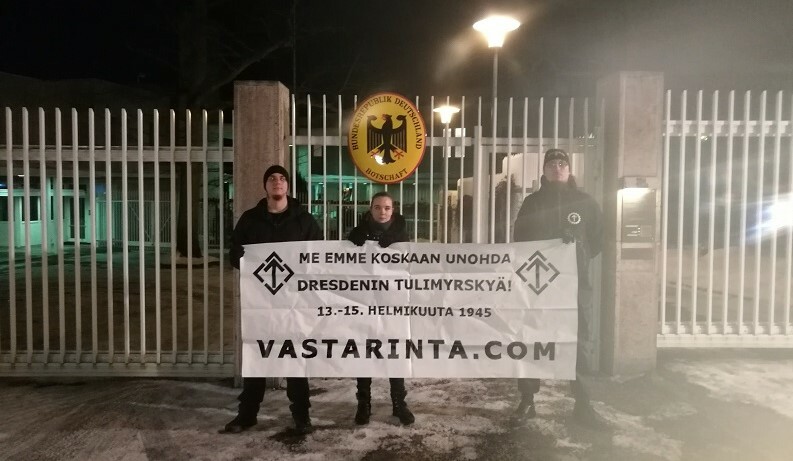 On week 7, a group of activists and members from the Finnish branch of the Nordic Resistance Movement in the Helsinki region gathered for remembrance of the bombing of Dresden. First the group headed to the embassy of Germany in Helsinki, with a banner to declare their message – “We will never forget the Dresden firestorm! 13th-15th of February, 1945”. The activists also left candles by the embassy to commemorate the anniversary. 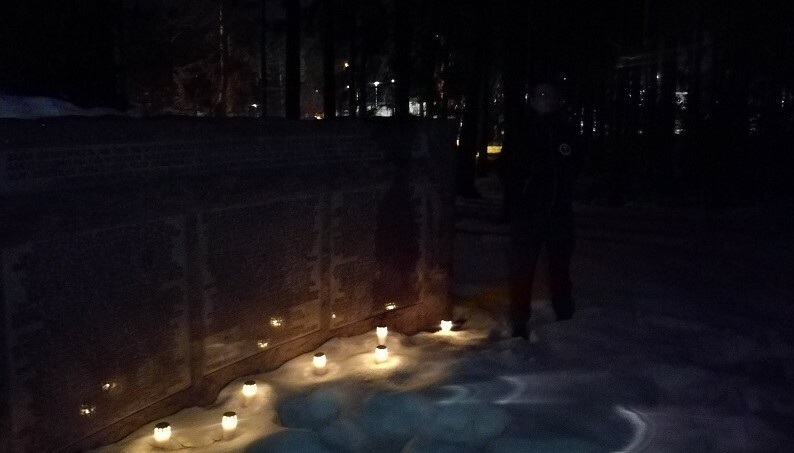 After this they visited the German soldiers’ cemetery (Deutscher Soldatenfriedhof) in Vantaa to light some candles and held a moment of silence. Listen to "Nordic Frontier" on Spreaker.Listen to "Nordic Frontier" on Spreaker.